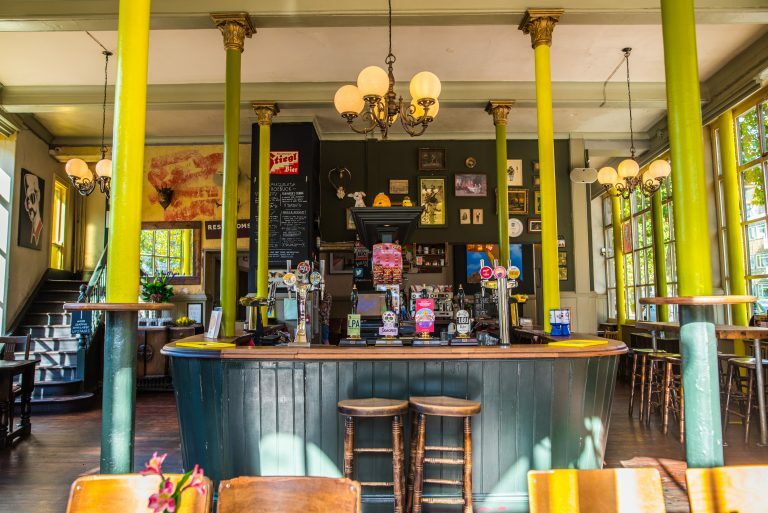 The Roebuck’s drinks selection is a vibrant mix of the traditional and the new, a bit like the pub itself! 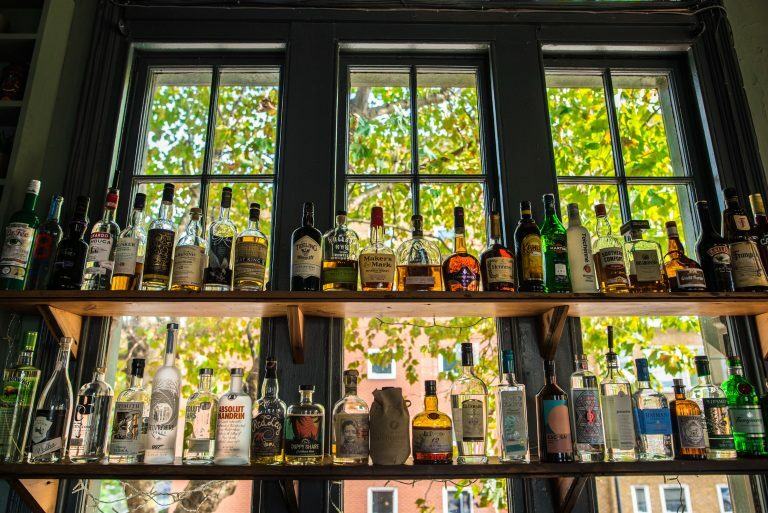 We’re always on the look out for local brewers and distillers, and over time our beer, wine and spirit selections have evolved into a well-rounded group of distinctive, top quality tipples. 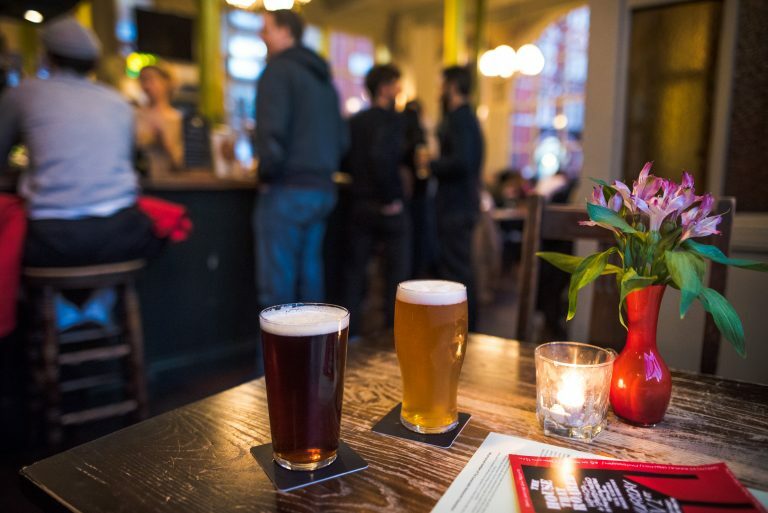 Enjoy a juicy and tropical Gamma Ray courtesy of Beavertown Brewery or delight in pints from fellow South Londoners Belleville Brewing Co. and Brixton Brewery. Elsewhere on the taps and pumps beers are constantly rotating, with Canopy Beer of Herne Hill, Portobello, and Southwark Brewing Co. appearing alongside microbreweries based in London and around the UK. The bottle and cans selection features other local favourites like Umbrella, Crate and Hiver. Did you know that Hiver use three types of honey to create their honey beer? They source raw urban London, English blossom and heather honeys straight from independent British beekeepers. When it comes to spirits, we’re big on gin. 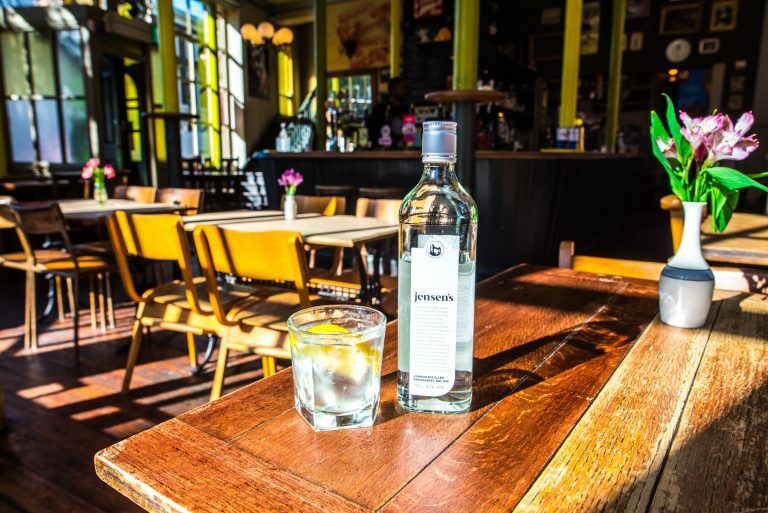 Sipsmith and Portobello Road are both favourites alongside Jensen’s and Dodd’s, which are both crafted in Bermondsey. We’ve curated a fantastic wine list, a great selection which includes organic, biodynamic, natural and vegan choices. Try the Davenport Estate, a delicious English sparkling from East Sussex or the Meinklang Pinot Noir, an irresistible red from Austria. 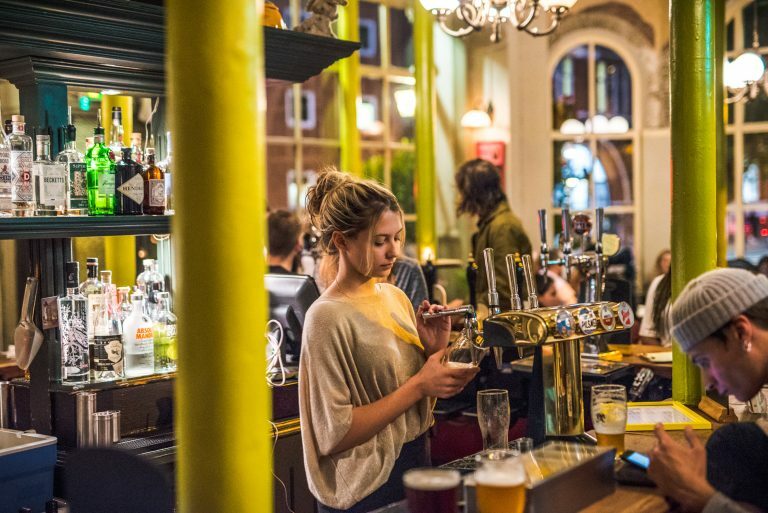 So whether you’re catching up with friends, escaping your flatmates or just fancy a drink after work, the Roebuck has great spirit – behind the bar and on your table.